If you would like to volunteer please contact the UGA DNA co-chairs. Mary Jane Saylor is the new UGA Board Member overseeing the UGA DNA Special Interest Group. She has been volunteering with UGA for the last four years and is a veteran of the Salt Lake Institute of Genealogy (SLIG) where she has successfully served as the assistant registrar and the media coordinator. She also served the First Families of Utah Project where she helped to expand and revitalize the program. 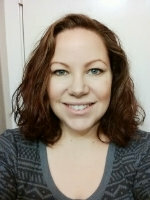 Feel free to peruse her recent posts to the FoundingFamilyLines.com website where she writes about her family history! Stephanie Saylor is a member of the Utah Genealogical Association, Board of Directors. She revived the UGA-DNA Special Interest Group in 2016, and later acted as organizer and leader, until she stared inviting and accepting leaders in the field of genetic genealogy to come and give webinars in 2017. She later became the Chair of UGA DNA. She holds a degree in Biology with an emphasis in Neuroscience and works as a professional genetic genealogist. She loves to help people feel comfortable using genetic genealogy to crack open even the hardest cases. You can find her articles, images, and handouts posted on Founding Family Lines. Danni Altman-Newell is a media guru and genealogy blogger from Kansas who is willing to bring the skills she has honed developing conferences for a non-profit to our Special Interest Group! You can read about her genealogical journey on at her blog, and follow her on Twitter and Facebook. Rita is the assistant registrar for the Salt Lake Institute of Genealogy (SLIG) and holds a master's degree in Public History, Accounting and Business Administration. She has been researching genealogy for 15 years mainly in Connecticut, but also does research in New England and Italy. Check out her APG profile! Woody Belzer is passionate about learning his family’s history not just dates and names but who our ancestors were. He loves looking at events in history and understanding how they can not only augment our understanding of what our ancestors were experiencing but uses that knowledge to find additional documentation to prove that they existed. He is starting to integrate DNA into his search for his personal family’s history in his search for the stories that bind him to his ancestors. Heather Goebel's interest in family history started in junior or high school and was built when she was invited to some family history classes. Over the years she returned from time to time to work on her tree, until online research grabbed her interest 15 years ago. While attending an all-day LDS seminar in Arizona, she was given the change to give a small tube of blood with her 3 or 4 generation family tree. Later she tested with Sorensons, GeneTree and National Genographic. She has now tested many family members and friends at 23andMe, Family Tree DNA (full MTDNA sequence, Big Y, Y and atDNA), AncestryDNA, My Heritage and Living DNA. Through genetic testing she has been thrilled to get to know two family members on her paternal side who had been adopted. Heather has sought out many opportunities to learn more about genetic genealogy through attending the week long genetic genealogy cruise with some of the top DNA teachers, the week long DNA courses at SLIG and attending every local DNA seminar/presentation and webinar she is able to find. She is especially passionate about Jewish and Newfoundland endogamy. Heather is also a moderator for two active Facebook groups (Newfoundland Gedmatch and the Amerasian DNA group) as well as being a moderator the the UGA-DNA Special Interest group on Facebook. Kim Gilboy has amazing talents in marketing, advertising, writing, philanthropy, and genealogy. She enjoys sharing her passion for genealogy that has been growing since she was a teenager. Although she already has EdD, and an MBA from Stanford, Kim has returned to school and is in her last semester at BYU-Idaho where she is furthering her understanding of genealogy. Alexa Corcoran comes to genealogy with an academic background in history and a passion for learning about family past. She has a BA from Princeton University in History with a Certificate in American Studies as well as a MA in U.S. History from Johns Hopkins University. Focusing on genealogical studies, she completed Boston University’s Certificate in Genealogical Research and Genealogical Essentials and is currently a member of ProGen Study Group. Alexa's special interest in DNA and genetic genealogy grows out of a desire to solve “brick walls” in genealogical research, and she recently studied Advanced Genetic Genealogy under the instruction of groundbreaking genetic genealogist, CeCe Moore, along with Blaine T. Bettinger, Ph.D., J.D. at the Genealogical Research Institute of Pittsburgh. Alexa is an At-Large Board Member of the Maryland Genealogical Society, the Membership Chair for the Association of Professional Genealogists (APG) Virtual Chapter, and the Maryland Chapter lead for the Virtual Genealogical Association. 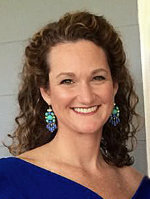 Her long-term interest lies in educating genealogists, particularly in how genetic genealogy can enhance all aspects of genealogical research, and she looks forward to assisting others through her work as a UGA DNA Co-Chair. Find out more about her on her APG Profile. Irene Rossman has been interested in genealogy since she was five years old and has been actively researching families for the last 15 years. From Notre Dame de Namur University, she earned a BA in Psychology, Certificate in Inner City Studies, MS in Clinical Psychology, and Certificate in Gerontology. Irene also has a master’s in Criminal Justice from Boston University, completed Boston University’s Certificate in Genealogical Research Program in May 2018 (OL26), and is a current member of ProGen 38. She is passionate about helping others find their birth families and volunteers as a Search Angel for 325Kamra, Inc., a non-profit that helps reunite Korean Adoptees with their birth families. She is an enthusiastic team player and is a current UGA DNA Co-Chair.